Elements make up everything in our world – literally. Learn some of the interesting facts behind the building blocks of our world. Explore the chemistry behind your food. It’s fascinating to learn how molecules shape what you eat – and are what you eat! Want to impress your friends with some interesting facts and trivia? Look smarter by learning about some of these chemistry topics or just learn some interesting trivia that you can tell your friends at the bar! Ever wonder why bleach turns things white (or sometimes yellow)? Or how about why sunscreen prevents you from getting burned? Learn a bit about how these household items work – through chemistry, of course! Ever look at the back of your shampoo bottle? There’s usually a huge list of ingredients. Ever wonder what any of those ingredients are? 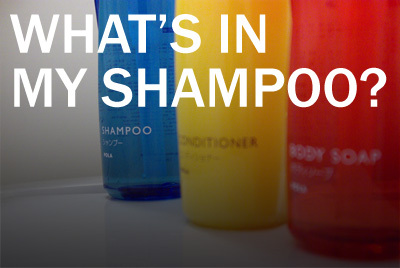 In this series, we’ll be exploring what’s in your shampoo. What’s that Popping Sound when Water Boils? Copyright 2014 ChemistryTwig.com. Theme by MyThemeShop.